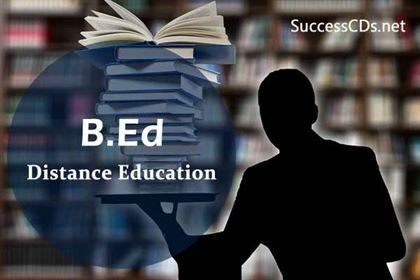 Distance Education B.Ed is substantial and a popular course in the arena of Education in India.There are lot of Universities offering a courses in B.ED through correspondence in India.Distance Learning courses are getting popular in India and lot of students want to earn B.ED degree while working. You can search list of Universities offering B.ED through distance learning Courses through following pages. There are number of universities offering B. Ed Distance Education Courses in the country. University of Burdwan B.Ed. Distance Education Admission 2019 . Check out more info on eligibility, application, dates for University of Burdwan B.Ed. Distance Education 2019. B Ed Distance Education through Entrance Test. B.Ed. Distance Education: In-service teachers with two years of regular service and Passed BA/B.Com/B.Sc and presently working in Govt. / Aided/MPP/ZPP/Recognized School in Telangana State.